One Tree Hill: November 2012 contest 1st place winner! A video about Brooke & Peyton's friendship & how they've come through all the fights that they've had because they really love each other. Lost: Crossover for the female friendship. November 2012 contest submission. November is here and in the spirit of love and friendship, we�d like you to focus on bromances/womances for this month�s contest! Do you have a favourite male/male or female/female friendship that you would like to show us? Maybe Steve and Danno from Hawaii 5-0, for example, or Buffy and Willow from Buffy The Vampire Slayer? From TV shows or movies, it doesn�t matter, just choose one (or more!) womances/bromances and show us what you love about them. Whether it�s the comedic banter or the meaningful bond between the characters, it�s up to you to make us fall in love with them the same way you have! Just please keep the focus on male/male or female/female friendships and not group/mixed friendships. Most importantly, have fun!! 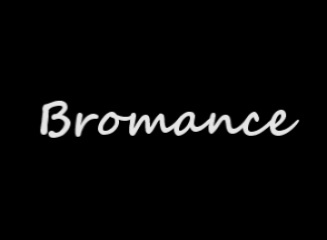 � Make a video about one or more of your favourite bromances/womances. � When entering your video on the Submit page, you MUST enter "November 2012 contest submission" exactly in your vid's description.